explore beauty with us. sometimes it is found in unexpected places or at unexpected times. there is no age limit to beauty, there are no geographical borders, no language barriers. beauty in nature is universal and eternal and it unites us all. We’ve all heard the expression, “no two snowflakes are the same.” While this isn’t entirely true, the chances of finding two identical snowflakes is incredibly slim - scientists say the actual chances are one in one trillion! So I think it’s safe to say that the expression holds. Snowflakes are an incredible act of nature - made up of ice crystals, water vapor and microscopic dust. This dust can come from many places - including celestial bodies, volcanic ash and even flower pollen. Ice crystals are formed in clouds - their shape is determined by the temperature of a cloud and their size by the amount of moisture in the cloud. As ice crystals combine - they create snowflakes. When a snowflake leaves its cloud, that’s when things get really interesting and when the billions of tiny alternations that make each snowflake unique occur. Just as a bird leaves its nest and we leave our mother’s womb, a snowflake tumbles through the air, spiraling and swirling, carving its individual path to the ground and becoming its own unique snowflake along the way. In this cold winter month of January, many of us spend time making resolutions for the new year. We think about how we want to exercise more, procrastinate less, eat healthier, be more adventurous. We tend to think of all our “imperfections” and all the ways in which we want to change them. This year, we urge you to learn a lesson from the beautiful snowflakes falling around us and embrace your unique imperfections and your individual journey - everything that makes you you. As snowflakes make their way from their cloud down to the ground, some will collide into each other, damaging each other and others will collide and join together. Others will be changed by the direction and strength of the wind. Many transitions will take place for our little snowflake during its journey. And these collisions, transitions and influences all result in the exclusive shape of that one snowflake. We, too, like the snowflakes are all individuals on a journey who sometimes collide, cross paths, join together, separate and affect and influence each other. We grow and change shape with each interaction and each gust of wind. But at all times during this journey, we are exactly who we are meant to be. I am not perfect for your journey and you are not perfect for mine, but I am always perfect for my journey and you are always perfect for yours. Be like the snowflake this year, accept your perfectly imperfect path for you and also accept mine for me and your neighbor’s for her. 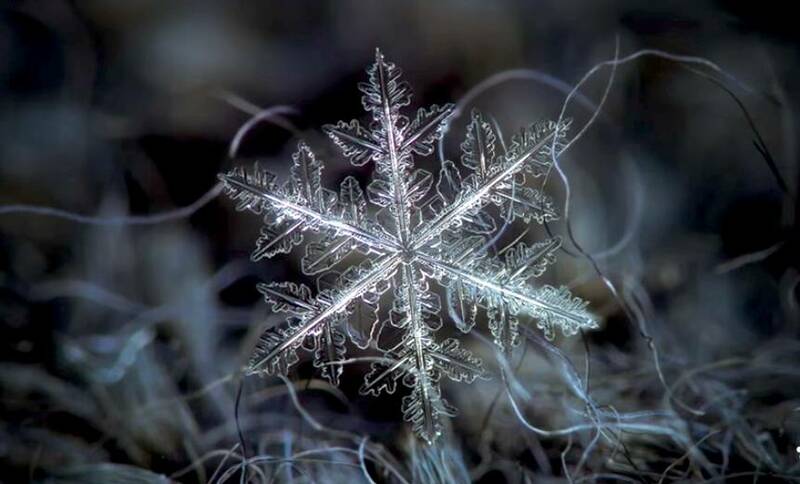 Embrace the unique snowflake in each of us and especially in you. Embrace you.